High quality butyl tube. Standard weight. 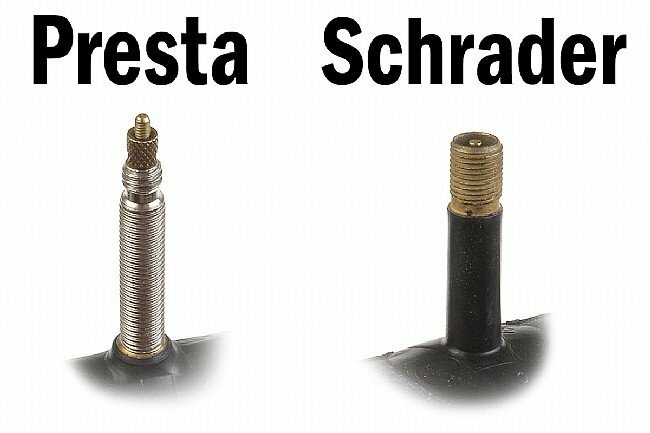 Presta tubes have removable valve cores. 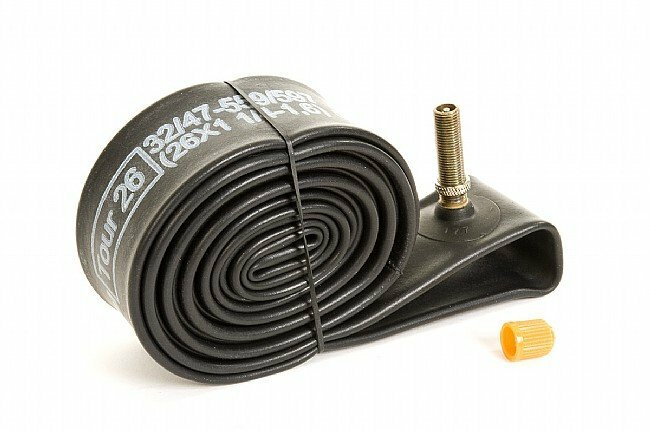 I bought the Continental 1.752.5 MTB 26 tubes with the Presta valves to install with my Michelin Country Rock 26 1.75 tires that I bought at WesternBikeWorks. I store my bike in my home, but I haven't had to add air in the tires for 3 weeks and the pressure is still the same. With my old tubes, I had to add air weekly. These tubes have exceeded my expectations. Will buy again! Can't really review the tubes other than to say I received one that was defective and Western Bikeworks sent a new tube out right away. Excellent customer service. Looking forward to doing business again. Suspect that the tubes will work great. 5 stars for the bike shop....and if I don't edit the review at a later time, assume 5 stars for the tubes also. Excellent tube, working great so far. used on my cannondale mountain bike. Good tube for the price. Lasts long and holds the pressure. 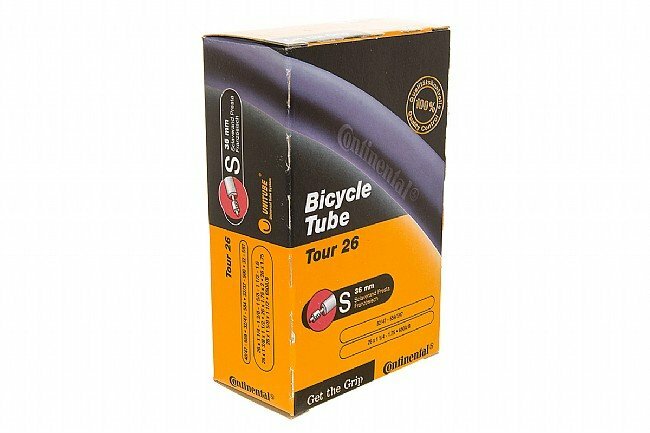 Best place to buy fully threaded schrader valve! Great to have a fully threaded schrader valve on tubes. Until now, the only advantage the presta had over the schrader valve on wider MTB tires!